We just caught wind of a few new watches from Projects Watches that we thought we be of interest to you. 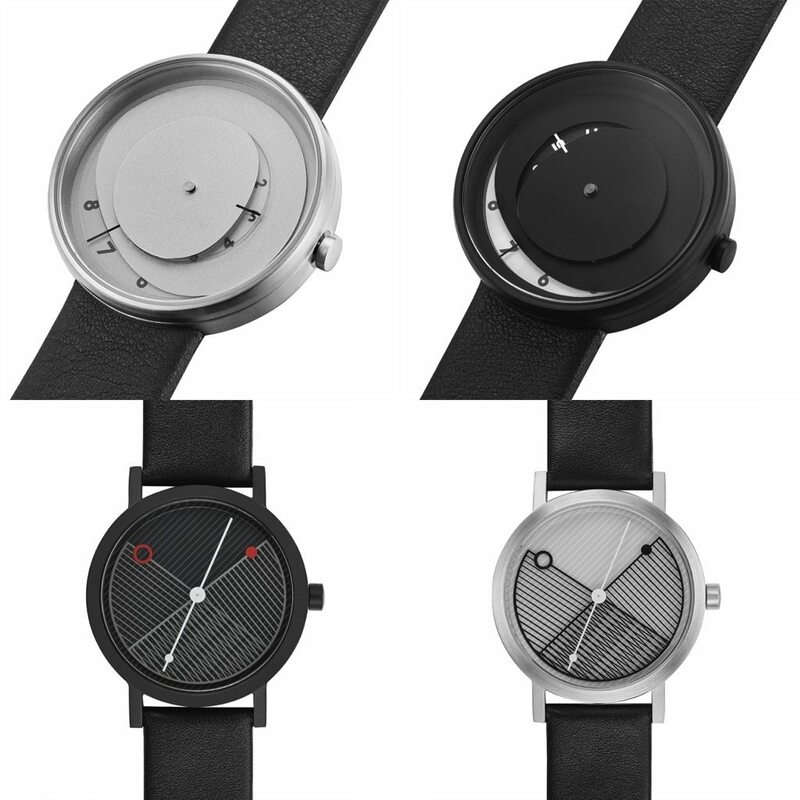 As you’ve seen in some of our prior coverage, Projects Watches creates some interesting designs, relying on the talents of accomplished designers from other industries. This time around, we’re going to take a look at what they have on offer with the Elos and Hatch. Let’s start with the Projects Watches Elos, which is most similar to the watch we told you about from them previously. Here, rather than colored bits circling around and overlapping, you have two eccentric, vaguely circular, shapes that are rotating around. As they go around the dial, they reveal numeric indices which, along with the pointers attached, indicate the hour and the minutes. I find it a little surprising that they didn’t go with double-digits for the minutes track, but I suppose that would have been tricky to keep visible (and legible) given the small crescents that are revealed for telling the time. The Projects Watches Elos is available in two finishes, with the black IP variant giving you a two-tone effect within the dial. Prices for the Projects Watches Elos range from $140 to $145. That then leaves us with the Projects Watches Hatch. Here again, we have discs rotating around. Rather than obscuring the dial, though, these reveal it, and interact with each other. Each disc has it’s own set of parallel lines (along with the indicated hand) that create various hatched patterns as they rotate and overlap. This, of course, gives the dial a varied look throughout the date. On the Projects Watches Hatch, the hands have red circles on them, which should help to pick them out. Even with that, though, I’ve a feeling that the Projects Watches Hatch is one that will have a little bit of a learning curve to be able to read quickly. As with the Elos, the Hatch is available in two finishes, with both coming in at the price of $135. If I could make one design suggestion, it would be: Playing with color, shapes, and patterns is good – now lets fool around with lume.